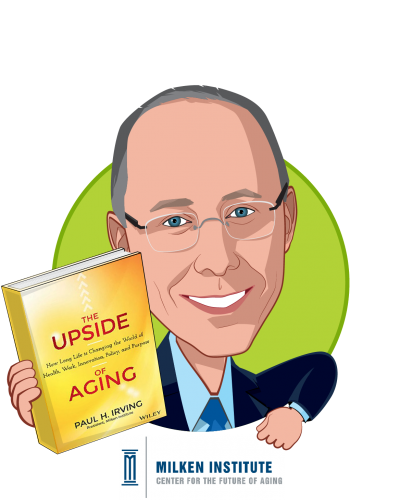 Paul Irving is chairman of the Milken Institute Center for the Future of Aging and distinguished scholar in residence at the USC Davis School of Gerontology. 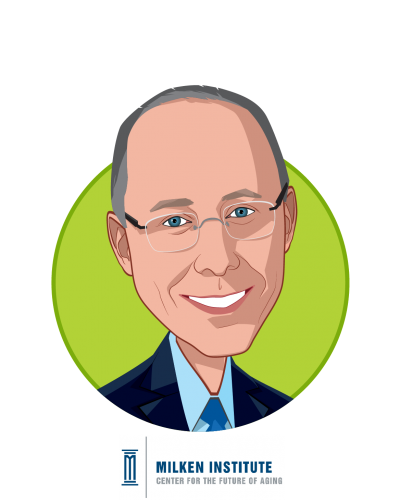 He previously served as the Institute’s president, an advanced leadership fellow at Harvard University, and chairman and CEO of Manatt, Phelps & Phillips, a law and consulting firm. Author of “The Upside of Aging: How Long Life Is Changing the World of Health, Work, Innovation, Policy, and Purpose,” a Wall Street Journal expert panelist and contributor to the Huffington Post, PBS Next Avenue and Forbes, Irving serves as a director of East West Bancorp, as vice chair of Encore.org, and on advisory boards of USC Davis, the Global Coalition on Aging, Stanford University’s Distinguished Careers Institute, WorkingNation, Berkeley-AGE, and the Bipartisan Policy Center. PBS Next Avenue named Irving an “Influencer” for his contributions to the field of aging, and he was honored with the Janet L. Witkin Humanitarian Award by Affordable Living for the Aging.